French Baroque is a form of Baroque architecture that evolved in France during the reigns of Louis XIII (1610-43), Louis XIV (1643-1714) and Louis XV (1714-74). French Baroque profoundly influenced 18th-century secular architecture throughout Europe. 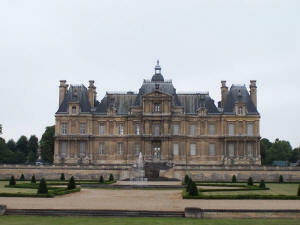 Although the open three wing layout of the palace was established in France as the canonical solution as early as the 16th century, it was the Palais du Luxembourg (1615-20) by Salomon de Brosse that determined the sober and classicizing direction that French Baroque architecture was to take. For the first time, the corps de logis was emphasized as the representative main part of the building, while the side wings were treated as hierarchically inferior and appropriately scaled down. The medieval tower has been completely replaced by the central projection in the shape of a monumental three-storey gateway. De Brosse's melding of traditional French elements (e.g., lofty mansard roofs and complex roofline) with extensive Italianate quotations (e.g., ubiquitous rustication, derived from Palazzo Pitti in Florence) came to characterize the Louis XIII style. Probably the most accomplished formulator of the new manner was François Mansart, a tireless perfectionist credited with introducing the full Baroque to France. In his design for Château de Maisons (1642), Mansart succeeded in reconciling academic and baroque approaches, while demonstrating respect for the gothic-inherited idiosyncrasies of the French tradition. 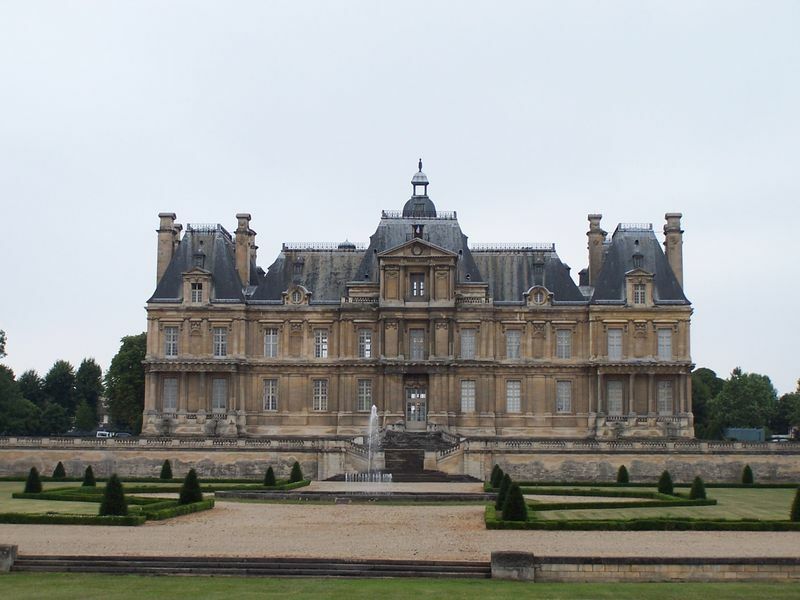 Maisons-Laffitte illustrates the ongoing transition from the post-medieval chateaux of the sixteenth century to the villa-like country houses of the eighteenth. The structure is strictly symmetrical, with an order applied to each story, mostly in pilaster form. The frontispiece, crowned with a separate aggrandized roof, is infused with remarkable plasticity and the whole ensemble reads like a three-dimensional whole. Mansart's structures are stripped of overblown decorative effects, so typical of contemporary Rome. Italian Baroque influence is muted and relegated to the field of decorative ornamentation. 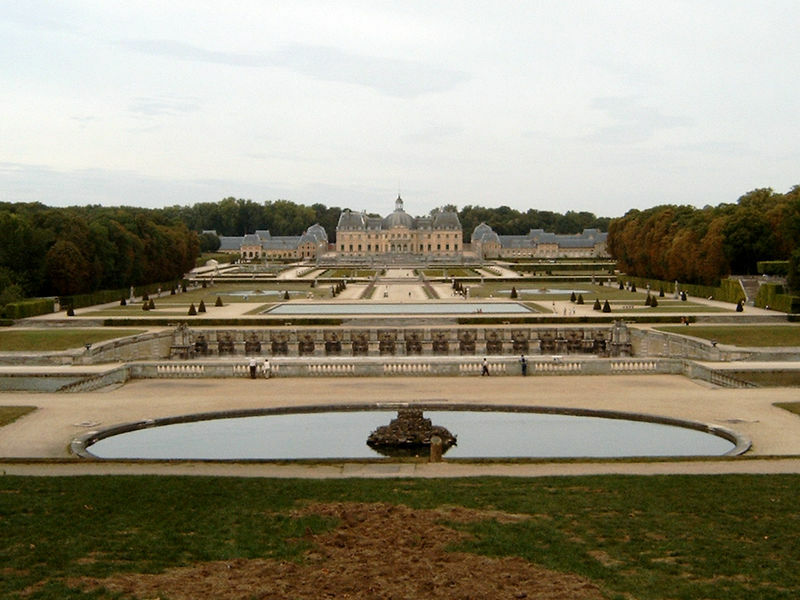 The next step in the development of European residential architecture involved the integration of the gardens in the composition of the palace, as is exemplified by Vaux-le-Vicomte (1656-61), where the architect Louis Le Vau, the designer Charles Le Brun and the gardener André Le Nôtre complemented each other. From the main cornice to a low plinth, the miniature palace is clothed in the so-called "colossal order", which makes the structure look more impressive. The creative collaboration of Le Vau and Le Nôtre marked the arrival of the "Magnificent Manner" which allowed to extend Baroque architecture outside the palace walls and transform the surrounding landscape into an immaculate mosaic of expansive vistas. St. Louis des Invalides, Paris: Jules Hardouin Mansart, 1676. The same three artists scaled this concept to monumental proportions in the royal hunting lodge and later main residence at Versailles (1661-1690). On a far grander scale, the palace is a hypertrophied and somewhat repetitive version of Vaux-le-Vicomte. It was both the most grandiose and the most imitated residential building of the 17th century. 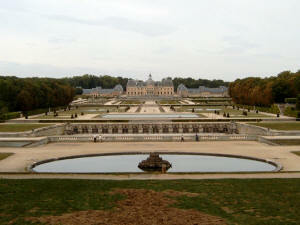 Mannheim, Nordkirchen and Drottningholm were among many foreign residences for which Versailles provided a model. 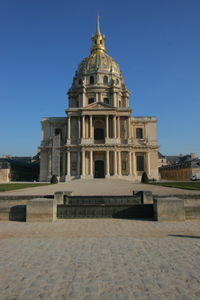 The final expansion of Versailles was superintended by Jules Hardouin-Mansart, whose key design is the Dome des Invalides (1676-1706), generally regarded as the most important French church of the century. Hardouin-Mansart profited from his uncle's instruction and plans to instill the edifice with an imperial grandeur unprecedented in the countries north of Italy. The majestic hemispherical dome balances the vigorous vertical thrust of the orders, which do not accurately convey the structure of the interior. The younger architect not only revived the harmony and balance associated with the work of the elder Mansart but also set the tone for Late Baroque French architecture, with its grand ponderousness and increasing concessions to academicism. The Régence and the early reign of Louis XV saw a reaction against the official style that had been perfected in Hardouin-Mansart's Bâtiments du Roi, which took the shape of the rococo's more delicate and intimate manner, largely limited to interiors and works of decorative arts. The style, which softened then dissolved architectural elements in interiors, was pioneered by Nicolas Pineau, who collaborated with Hardouin-Mansart on the interiors of the royal Château de Marly. Further elaborated after Mansart's death in 1706 by Pierre Le Pautre and then, more forcefully by Gilles-Marie Oppendordt and Juste-Aurèle Meissonnier, the "genre pittoresque" culminated in the interiors of the Petit Château at Chantilly (c. 1722) and Germain Boffrand's interiors at the Hôtel de Soubise in Paris (c. 1732), where a fashionable emphasis on the atectonic and curvilinear went beyond all reasonable measure. Sculpture, paintings, furniture, and porcelain tended to overshadow architectural divisions of the interior. The classical tradition in French architecture was never overwhelmed, however, and the reaction in favor of classicism began as early as the 1740s in the Académie, in the atelier of Giovanni Niccolo Servandoni and among the young pensionnaires at the French Academy in Rome. Henry A. Millon (ed. ), The Triumph of the Baroque: Architecture in Europe, 1600–1750 (1999).